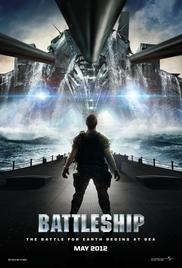 Plot: Based on the classic Hasbro naval combat game, Battleship is the story of an international fleet of ships who come across an alien armada while on Naval war games exercise. An intense battle is fought on sea, land and air. What do the aliens want?